Home Decor shopping is something I have dreamed about doing for years! Ever since I was in high school I would purchase ELLE Decor + House Beautiful + Martha Stewart Living, just to swoon over all the gorgeous decorated homes -- envisioning what my future house would look like once I had the income to be able to purchase all those 'over-priced' but beyond fabulous items! N finally closed on the DC house last week & it has slowly started to sink in that it is now time to find + purchase all of those fabulous items I once dreamed about. Now I am still broke as a joke, so technically N is the one doing all the purchasing but I am helping him with the home decor hunt & I am surely enjoying myself. Crate & Barrel, Pottery Barn & West Elm are some of my favorite stores to shop in! Those fabulous champagne glasses & white dishware are from Crate & Barrel, which have already been purchased + will be unpacked this weekend! The HIS + HERS bathroom rugs from Pottery Barn have been on my wish list for F O R E V E R, but I am still trying to convince N that we should get those pretties for our bathroom! I have high hopes ;) Now my A B S O L U T E favorite item on my list this week is that polar bear rug that will be going in the office! eeeeek. I squealed just alot alittle when I sent N this beautiful rug in an email & he just so happened to purchase it. I am one happy girl! Do you like home decor shopping? What are your favorite stores to shop in? 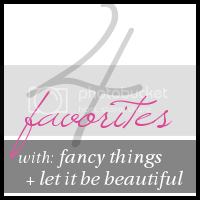 In "FOUR FAVORITES", "home decor"
My new found love for Chandeliers, aka Chandy's for short has gotten to be just a tad bit obsessive! Ever since N & I picked out granite + flooring for the new house I have been dreaming of adding one or 10 chandy's to the house, not sure that is going to fly with him! ha & to be honest there really aren't too many places that I can add them except for our bathroom, the dining room/living room area, + possibly the guest bedroom. Our laundry room doesn't have its own room + the terrace well doesn't exactly have a ceiling, so having an outside chandy is out of the question. But until we get moved in I will keep looking at pretty pictures + hoping that atleast one room in the house will get a chandy makeover! In "home decor", "pinteresting wednesday"